The Grabbit series of telescoping poles are constructed of non-conductive, lightweight, shockproof, friction locking telescoping fiberglass. 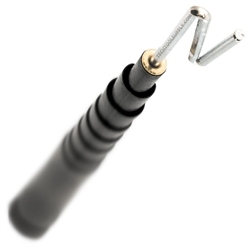 The tool is indispensable for running (pushing or pulling) wires or cables through limited access areas and false ceilings. The Grabbit is designed for both residential and commercial installations. 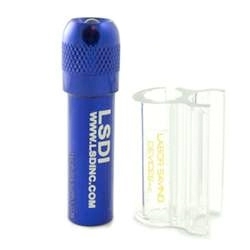 The tool includes LSD's patented Z-tip wire grabbertip. The inner V of the Z-Tip has a double knife edge designed to literally grab the wire insulation without cutting the actual metal wire, while the outer V (without knife edge) is designed to push a wire loop. The GR10 includes a new handy snap-on light accessory included for seeing in dim lighting. Just snap on the LED light in dark applications, and snap it off when not in use. Replacement GRABBIT clip-on lights are available separately. 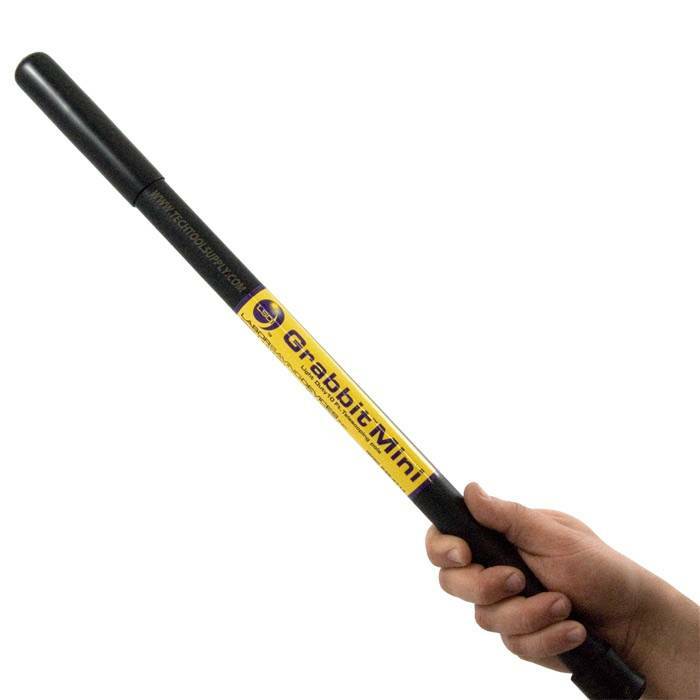 The Grabbit poles are also great when working in residential attics or crawlspaces when heat, bugs, nails or whatever are lurking about. Limit your time in the space. Simply run your wires above the top plate, or let them hang through the bottom plate and reach out and retrieve them from a distance in a comfortable place. We recommend running all the wires first. You will be amazed at how quickly you can retrieve them using the Grabbit Pole. Makes Grabbing wires a cinch! The concept of this product is sound but the application is sloppy. I've had two break with minimal effort and when ever I've ordered another its shipped with something defective. Customer service is only too happy to ship the replacement part or defective unit......if you dont mind waiting another 3 weeks to a month for delivery. You have already paid for it why should expect to be able to use it right away!? *sarcasm. This will the last chance I give this product. 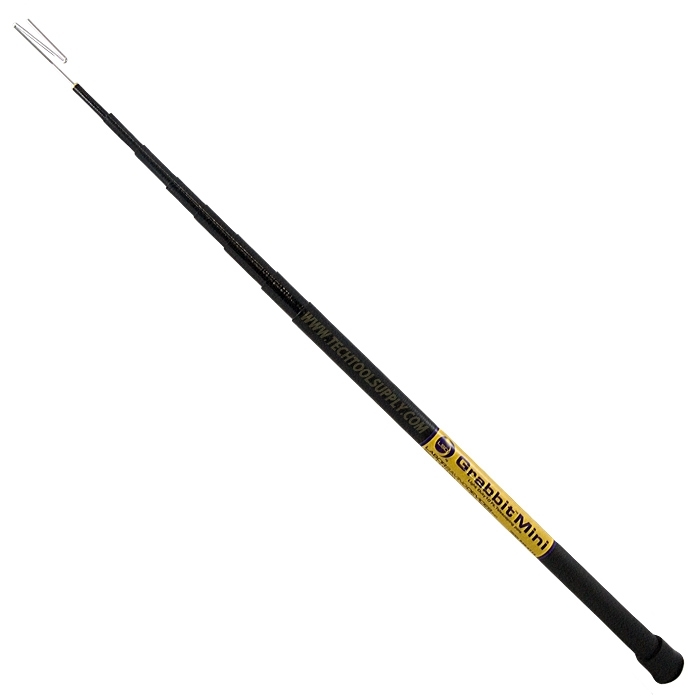 Great for getting lines in attics and crawlspaces you can't or don't want to get into. 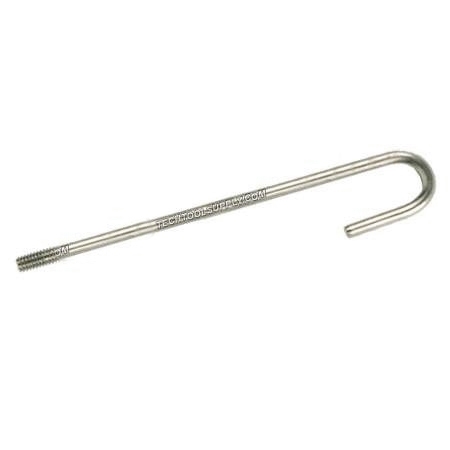 A must have tool to reach in hard spots.